Indie rap/hip hop artist Aesop Rock is set to hit Pittsburgh Thursday in support of his newest release, Skelethon, his first entirely self-produced album. 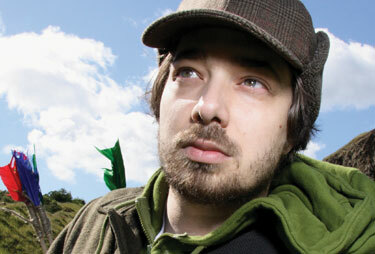 Aesop Rock worked with the likes of Allyson Baker (Dirty Ghosts), Kimya Dawson, Hanni El Khatib, Nicky Fleming-Yaryan, Rob Sonic, and the Grimace Federation, as well as scratch performances provided by long-time friend and collaborator DJ Big Wiz on this latest album, his first since 2007’s None Shall Pass. Preview one of his new tracks after the jump. As a lyricist, Aesop Rock has an undeniable talent and has been published in the New York Times Best Seller Hip Hop Speaks to Children as well as Yale University’s Anthology of Rap. This latest release finds him coping with the death of someone close back in 2008 and “wades through subsequent losses, jostled memories, relationships gone awry, and the occasionally amusing, if futile, attempts we make to cope with these things”. You can catch Aesop Rock with Rob Sonic and DJ Big Wiz Thursday, October 4 at Altar Bar. Doors are at 6, show at 7. 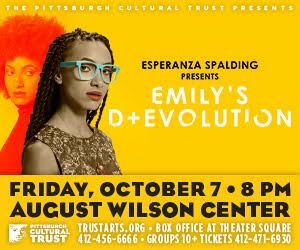 Tickets are $20 and can be purchased here.